Easter weekend is upon us, and just in time for the holiday, many television stations will be airing special broadcasts in celebration, including movies and TV episodes that cover the life of Jesus Christ and proclaim the holiday spirit. Check out the list below to find something great to watch. All times are EST. *1 p.m. “The Chew,” ABC – In this “Extra Value Friday: Easter Brunch” episode, chef Michael Symon and his fellow hosts will reveal how to prepare a delicious morning holiday meal. *6 p.m. “Backyard Easter Garden Brunch,” Cooking – Brothers Michael and Bryan Voltaggio devise a meal that features carrot cake pancakes, grilled leg of lamb and a spring frittata with parsley pesto, amongst other dishes. *7 p.m. “A Walton Easter,” Hallmark – The original cast of Virginia-based drama “The Waltons” reunites for this 1997 TV movie that revolves around a 40th wedding anniversary. *8 p.m. “Here Comes Peter Cottontail,” CW – In this 1971 stop-motion animation classic, a young rabbit (Casey Kasem) is named as the new Easter Bunny, however a rival buck (Vincent Price) wants the job for himself, and so a competition ensues. *8 p.m. “Killing Jesus,” Fox News Channel – This adaptation of Bill O’Reilly’s best-selling book with the same name broke a ratings record on the National Geographic Channel last weekend with 3.7 million viewers. The life and times of Jesus (Haaz Sleiman) are depicted. It will be re-airing at 11 p.m., and in the same time slots on Sunday, April 5. TCM is airing an Easter-themed movie marathon all day. *9:30 a.m. “Ben-Hur,” TCM – The 1959 Charlton Heston film in which a Jerusalem merchant-turned-slave discovers Jesus. A remake is currently in the works. *1:30 p.m. “King of Kings,” TCM – The story of Jesus (Jeffrey Hunter) is chronicled in this 1961 movie that was the first English language major motion picture to show his face on screen. *4:30 p.m. “The Greatest Story Ever Told,” TCM – This 1965 telling of Jesus’ (Max von Sydow) life covers the Nativity and the Resurrection. Charlton Heston appears here too, as John the Baptist. *7:30 p.m. “Celebration of Holy Mass with Pope Francis,” CatholicTV – Pope Francis presides over Easter Sunday Mass from St. Peter's Square in the Vatican City. 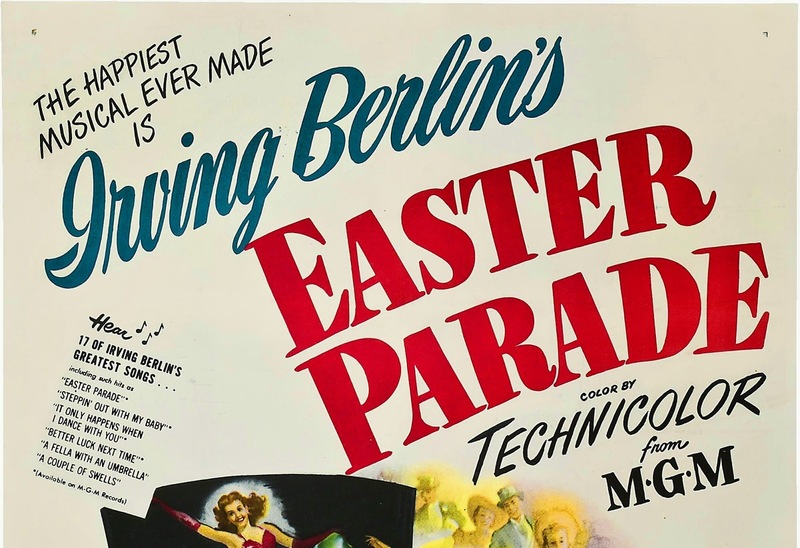 *8 p.m. “Easter Parade,” TCM – In this Academy Award-winning 1948 Judy Garland and Fred Astaire musical, a nightclub performer recruits a chorus girl to be a part of his dancing team. *10 p.m. “Holiday Inn,” TCM – Fred Astaire also shows up in this 1942 film with Bing Crosby, and the two compete for the love of an attractive woman (Marjorie Reynolds). *10 p.m. “The Passion of the Christ,” TBN – The highest grossing R-rated film in the history of the U.S. shows the final hours of Jesus’ (Jim Caviezel) life, featuring the trial before Pontius Pilate (Hristo Shopov) and crucifixion. It would be remiss not to point out that a certain TV metadata provider messed up pretty badly this week in regards to one of these titles. In fact, a viewer was so distressed by the faulty program description that they wrote in to a cable news show which has been No. 1 for 60 consecutive quarters to point out the error, which means a fairly wide audience was alerted to the mistake. That’s pretty embarrassing. Looking for accurate entertainment metadata, without significant flaws that are broadcast to a large national audience? Get in touch with us, below, to learn more.